The tour guide and bus ride to Oxford and Highclere Castle was pleasant enough, but the actually tour was disappointing. We thought we would have a full tour through Oxford and Highclere Castle but were instead shown the highlights of the city and left to our own devices for 2 hours, and were not guided through the castle either. The castle itself was beautiful, but ultimately we would not recommend this trip. Fabulous tour with a fantastic guide (Carol). Cannot recommend this tour highly enough. Thanks so much. Amazing tour! Allowed for a lot of time at Downton to explore and get a mid-afternoon cup of tea in the gardens. Highly recommended! Lucy was our guide and she was great. Just be aware that it's a long day. Muy bueno el tour, gran profesionalidad del guía y puntualidad en los horarios.Oxford es impresionante con sus edificios y museos y colegios.Y el castillo Highclere es espectacular, por unos instantes nos sentimos como los protagonistas de la serie, tomando el té al aire libre junto al parque y las arboledas.Muy recomendable, porque creo que en este tour se respira parte de la verdadera Inglaterra, que hoy ya no está en Londres. 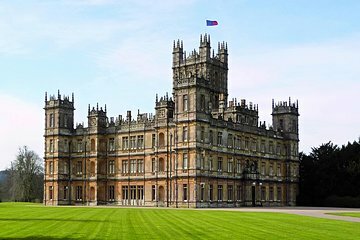 A highlight of my first visit to England was the day tour to Oxford and Highclere Castle. I am a Downton Abbey fan, so that just made this even better. Our driver Mat was very skillful. Frank, our guide, was wonderful. 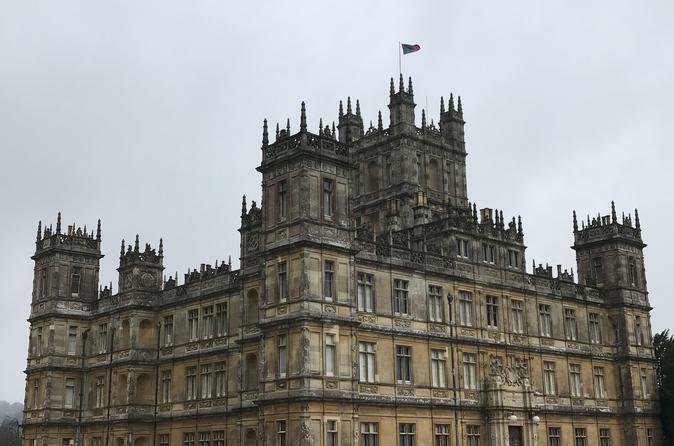 He was both knowledgeable about the history of Oxford, Bampton, and Highclere, but could share delightful stories about the beloved series Downton Abbey. Frank played the closing theme to Downton as we drove away at the end of the tour, and that just ended the tour perfectly. Our guide John was amazing! Our trip included a stop at Oxford and Bampton, John is so knowledgeable and shared so many interesting facts! Would do this trip again in a heartbeat! Highly recommend it!! I scheduled this tour as a surprise for my mom (huge Downton fan) during our trip. We had a fabulous experience with both our driver Malcolm and guide Frank. Each stop was timed just right. I would highly recommend this tour to any fans!